The Event Bags are perfect for your next event. 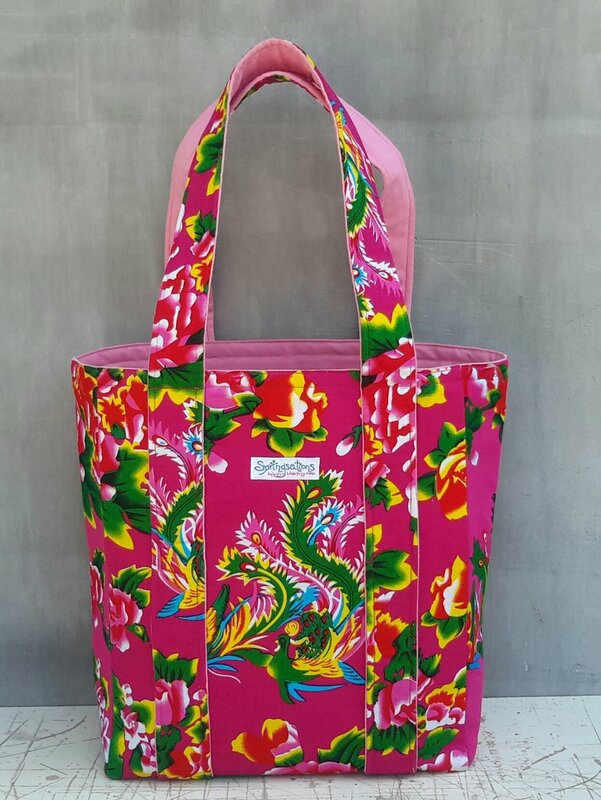 This bright and beautiful bag will bring joy and happiness to your next event. The material is Springsations Signature Pattern of Peonies and Peacocks. The former traditional wedding dress from Northeast China is a collection of bright & colorful peonies and peacocks represents the marriage union and joy and happiness to our women. Available in seven different backgrounds. Made from 100% cotton, machine washable, reusable 100 times over! Includes a pocket sewn into the inside of the lining on the inside. The entire bag folds up into the pocket. Size is 15 inches across and 16 inches tall with a 8 inch strap.